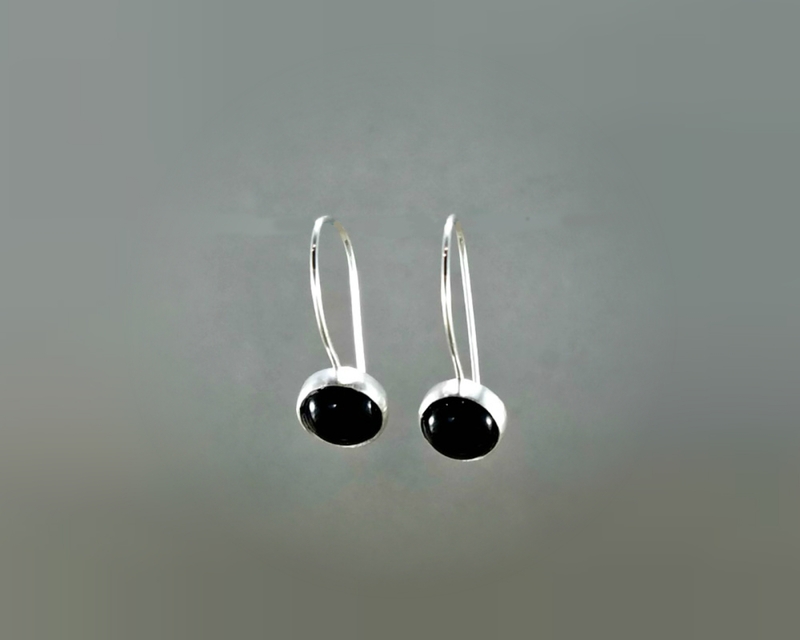 Classic lightweight, effortless everyday black onyx kidney wire earrings -- these small black onyx earrings with a thin locking wire are so comfortable and go with everything! The distance from the top of the ear wire to the base of the bezel is approximately 5/8 inch (1.6 cm). Each pair of earrings is individually handmade so dimensions vary slightly and all stones are unique. The pictures are representative of the pair you will receive. This style of earring is so comfortable to wear with the thin sterling silver wire. See all my kidney wire earrings.